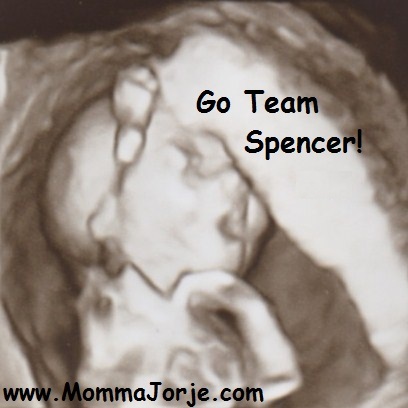 Jorje used this Ultrasound pic for team buttons when her family walked in their first Buddy Walk. Jorje writes about Down Syndrome Awareness and a plethora of parenting topics at Momma Jorje. Lauren. Pregnant. Literally half an hour before this post was published! 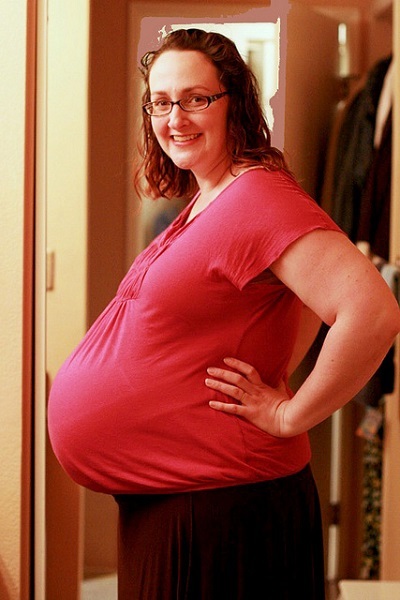 Lauren, 39 weeks pregnant and in labor with her 2nd son. I’m so glad friends helped me be represented, lol! 😀 I love pregnancy pics. 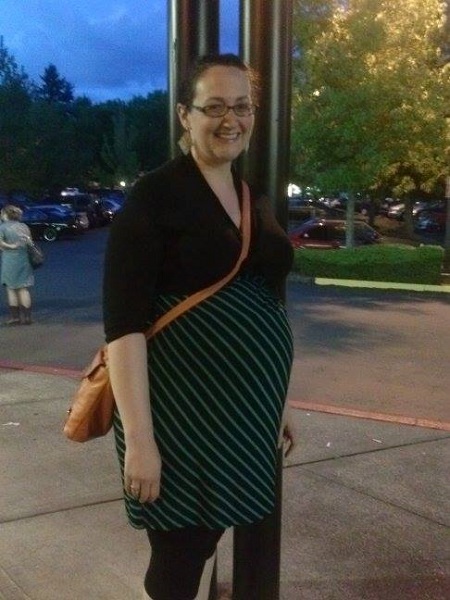 I’m at 28 weeks right now with this third baby — holy moly, I still have a ways to go to get to how big I was with that last one, don’t I? Maybe you’ll have a tiny girl this time, just to mix things up. 😉 Thanks for sharing your pics with NPN! P.S. LOVE that Halloween shirt. 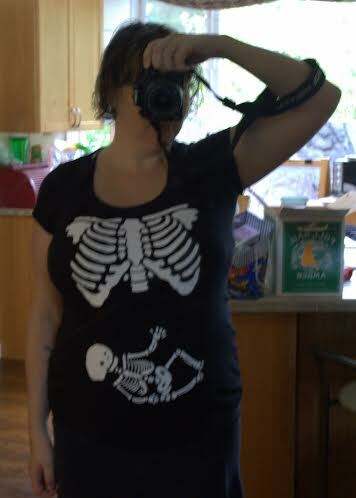 Maybe this baby will stay in so I can wear one like it…? Heh heh. Yes, I love the shirt! I wanted one, too!